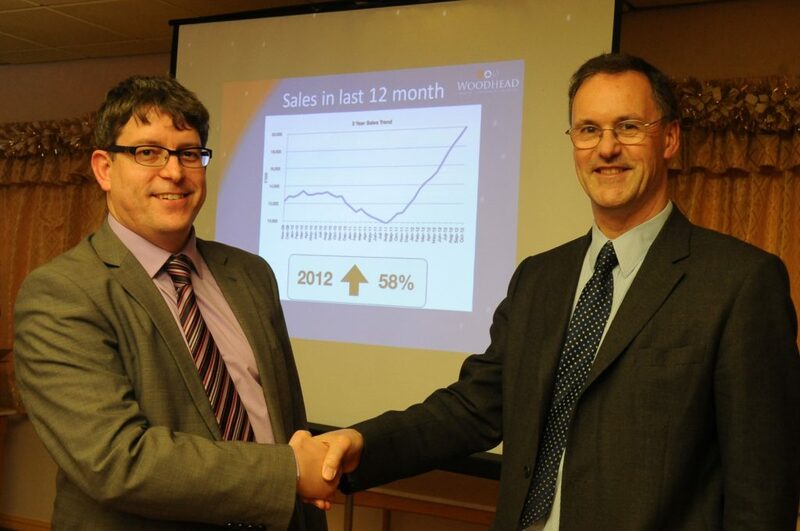 Against a backdrop of continued lack of growth in the construction industry, Robert Woodhead Ltd has bucked the trend with a 58% increase in turnover from November 2011 to October 2012. This has not only secured local jobs, but has enabled Robert Woodhead to increase its workforce from 51 to 69, with more increases planned during the next 12 months. The exceptional business results were presented to staff at Robert Woodhead Ltd’s Annual Conference on 30th November at South Forest Leisure Centre, Edwinstowe along with a big “Thank You” to all staff for their hard work and commitment throughout the year. The government’s Growth Accelerator service was engaged by David Woodhead to help develop the skills of his management team. The company also conducted two customer surveys to find out exactly what their clients thought of Robert Woodhead. The surveys helped the management team to gain a clear understanding of what clients really valued from a contractor. The results stimulated an innovative and brave cultural shift away from a lowest price wins to a best value wins philosophy.